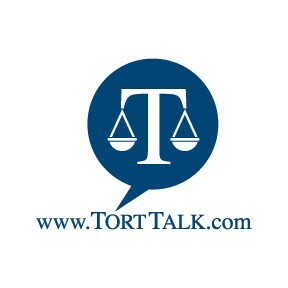 Tort Talkers may recall that I previously reported on the Pennsylvania Eastern District Federal Court decision of Gallagher v. Ohio Casualty Insurance Company HERE in which the federal trial court ruled that a Plaintiff was barred from pursuing a UIM claim after participating in a non-binding mediation that resulted in a settlement of the third party claim at an amount less than the third party tortfeasor's liability limits. On January 29, 2015, the Third Circuit Court of Appeals issued its "Not Precedential" decision in the case with the citation being Gallagher v. Ohio Casualty Ins. Co., No. 14-2687 (3d Cir. 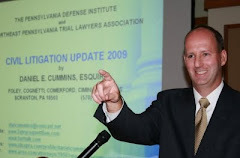 Jan. 29, 2015 Hardiman, Scirica, and Barry, Circuit Judges)(Op. by Barry, Circuit Judge). The Opinion notes that the decision in this case by the Third Circuit is not an opinion of the full court and, pursuant to I.O.P. 5.7, "does not constitute binding precedent." The third party tortfeasor was covered by a liability policy with $100,000 in liability limits. In the third party matter, the Plaintiff agreed to a "private, non-binding arbitration" at which the arbitrator evaluated the case as having a value of $41,715. The Plaintiff initially rejected that assessment, but later agreed to settle the third party matter for that exact same amount. Thereafter, when the Plaintiff filed suit against the UIM carrier, the UIM carrier eventually filed a motion for summary judgment arguing collateral estoppel. The trial court rejected the collateral estoppel argument but found that the UIM carrier was entitled to summary judgment given the lack of evidence produced by the Plaintiff to show that the tortfeasor defendant was underinsured. In other words, the Plaintiff failed to present evidence that her damages met or exceeded the amount of the tortfeasor's liability limits. The Third Circuit rejected the Plaintiff's assertion that the trial court concluded that the Plaintiff was not entitled to UIM benefits because she accepted a settlement less than the liability limits--the Third Circuit found this assertion to be a mischaracterization of the trial court's reasoning. Rather, the Third Circuit agreed with the trial court's actual finding and reasoning that the Plaintiff had failed to produce any evidence that the third party tortfeasor was "underinsured" so as to support the Plaintiff's effort to pursue UIM benefits in this matter after having settled with the tortfeasor at an amount substantially less than the available liability limits. The court noted that the Plaintiff's allegations of "serious" or "permanent" injuries as well as economic damages, without more, only amounted to "unsupported allegations in the pleadings" which, as a matter of law, were insufficient to establish any genuine issue of material fact. Accordingly, the UIM carrier's summary judgment motion was granted. It is reiterated that the Third Circuit marked its decision as "Not Precedential." 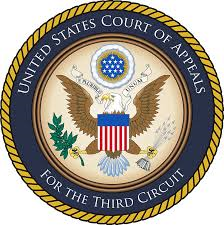 Anyone wishing to review a copy of the Third Circuit's Opinion may contact me at dancummins@comcast.net. The trial court Opinion in Gallagher may be viewed at this LINK. The related Court Order can be viewed HERE. To review Tort Talk blog posts on cases that do apply the application of the Collateral Estoppel Doctrine in the context of Post-Koken third party liability/UIM auto accident cases, click this LINK.